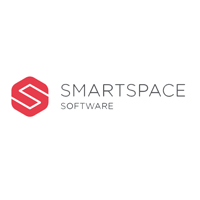 SmartSpace Software Plc (LON: SMRT), the leading provider of ‘Workspace Management Software’ for smart buildings, commercial spaces and hospitality, announced today a number of changes to the Board. These changes will support the Company’s ambition to accelerate international growth in the coming years. Bruce Morrison is appointed to the Board as Chief Financial Officer (CFO) from 27 November 2018. Spencer Dredge, formerly CFO, moves to the position of Chief Operations Officer (COO) and steps down from the main Board of the Company. In his new role Spencer will continue to manage the final stage of the divestment of the Redstone business. He will also focus on the integration of the business units, driving operational efficiencies, as well as identifying and integrating further strategic acquisition opportunities. The Company also wants to take this opportunity to announce the appointment of two advisers to the Board. Steven Rodriguez joins as adviser to support SmartSpace on developing their business in North America. He has extensive experience in the workspace management market having been COO at Asure Software, a Nasdaq-listed competitor of SmartSpace. Steven has extensive experience of growing SaaS businesses and has held senior roles at Ceridian and Shiftwise, amongst others. Ben Kepes is technology analyst, commentator, and consultant and is a globally-recognised subject matter expert in the areas of cloud computing, enterprise technology, and digital transformation. Ben is an experienced board member and is an active investor in technology start-ups and has held a number of board roles in both publicly-listed and private businesses. He has worked in New Zealand, Canada, the US and Australia. “These appointments ensure that SmartSpace has a senior management team that can deliver on its ambition to be a global leader in the workspace optimisation market. “I am delighted that Bruce is joining the team at SmartSpace. His breadth and depth of experience in the public markets and his finance and commercial background in running a SaaS software business will be a great addition to the team. Bruce has also stated his intention to take an element of his remuneration in shares, demonstrating his commitment to the business. Working with myself and Spencer, Bruce’s appointment significantly increases the bandwidth of the executive team. “I would also like to take this opportunity to thank Spencer for his contribution as CFO, particularly through the recent successful transition of the business. In his new role as COO, Spencer will ensure we drive the operational efficiencies from acquired businesses and his continued involvement in business development and M&A will be invaluable. “Steven has a comprehensive understanding of the workspace optimisation market and his experience will be extremely valuable as SmartSpace moves to the next stage of its evolution, especially as we establish a significant bridgehead in the US. Ben has an in-depth understanding of fast-growth technology businesses and his strategic marketing knowledge will be invaluable as we position SmartSpace for international success. Being based in New Zealand, he will also provide local support to our recent acquisition, SwipedOn. The company also announced the appointment of N+1 Singer as Nominated Advisor and broker with immediate effect.